Nigeria Has a History of Dodgy Elections - Will It Be Different This Time? These include the incumbent's control of state security apparatuses, grassroots structures, and control of institutions such as market traders associations, and the National Union for Road Transport Workers. The road transport workers' union, which acts as a canopy for bus drivers, conductors, and motor park touts in Southwestern Nigeria, has a history of providing foot soldiers for employment as election thugs with skills in ballot box snatching and voter intimidation tactics. 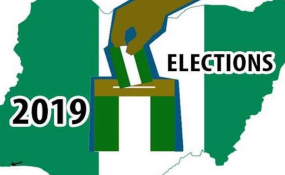 Questions around the credibility of elections in post-independence Nigeria can be traced as far back as the "First Republic" which lasted from 1960 - 1966. After allegations of massive rigging in the 1965 elections the country's western region was engulfed in the infamous "Operation Wet-ie" riots. The riots pitted rival political groups against each other leading to Nigeria's first military coup in 1966. From then on the country experienced a series of coups. Between 1966 and 1999, when the country made a decisive break with military politics, Nigeria experienced eight military coups. In that same time period three general elections were conducted. It's clear to see that Nigeria has survived a tumultuous political history. Going into this next election, questions still remain about the credibility of the country's electoral system, and the viability of it's governance structures. Looking back things have often gone wrong, but are there instances where things have worked out well for the electorate? Yet I still feel that Nigeria's electoral system needs a complete overhaul if it's to perform its functions with as little external interference as possible. The country has been ruled by military administrators more than it has by democratically elected leaders. For 29 years of Nigeria's independent history military dictators have had a grip on its leadership. This is compared to just 20 years of democracy. The result has been that electoral rigging and malpractice are rife within Nigeria's electoral process. Since 1999, Olusegun Obasanjo and Muhammadu Buhari, both of whom were previously military dictators spent a combined 12 years in power. President Buhari is now seeking a second term. As a result, there are still those who argue that the country's transition from military rule to democracy is not quite complete. To make matters worse, the behaviour of the electoral commission in previous elections hasn't always been above reproach. This has lent credence to the criticisms bout the body's impartiality. In the run up to the 2007 general for example, the Supreme Court ruled that the commission had no power to disqualify candidates in the eleventh hour as it had purported to do in the case of opposition candidate Atiku Abubakar. The opaque nature in which recent gubernatorial elections have been held has also added to the fears of a rigged presidential poll. The September 2018 gubernatorial election in Osun, for example, was panned by election observers as being riddled with voting irregularities like voter harassment, and interference by "inappropriate persons". These irregularities were reinforced by the high number of security officers deployed to the state during the election period. Incumbent governments, on the other hand, have typically been on the other side of the argument. Nigerian governments have often cited what they call the "neo-imperialism" of countries like the UK and the US and decried their interference in Nigeria's sovereignty. This resistance to foreign interference was most recently evidenced in comments made by Kaduna State governor, Nasir El-Rufai, who threatened foreign observers with death if they engaged with local politicians. Former president Goodluck Jonathan also trotted out the "foreign interference" trope when he claimed in his recently published memoir that the US played a hand in ensuring that he lost the 2015 election. And a few weeks ago the ruling All Progressives Congress joined the bandwagon when they issued a statement telling the EU to not undermine Nigeria's sovereignty. Despite all of the above, it's not all grim. There are some positive precedents that can be built on. His concession reinforced the notion that elections need not be a "do or die" affair. This peaceful transition after just one presidential term in office also set a positive trend for elections across Africa. But with the slim margin between the incumbent, Buhari, and his main contender Abubakar of the People's Democratic Party - this narrative might need to be reinforced when Nigeria goes to the polls again on February 16.